Information is power, the power to improve. MDirector offers a complete real time graphic reporting system. The information available in the tool will allow you to detect opportunities and improve your email marketing return on investment. 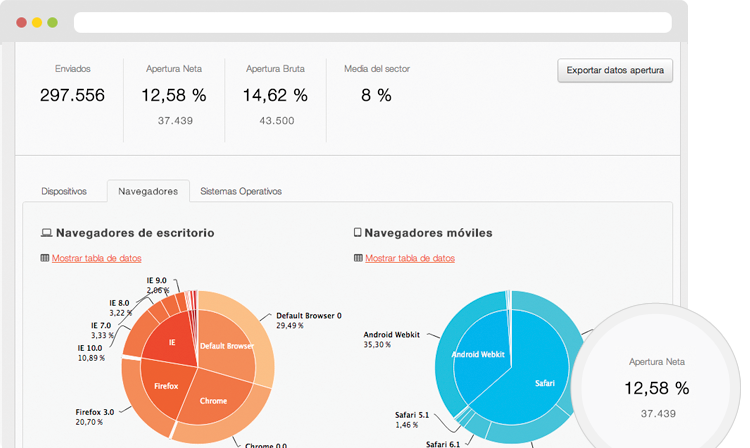 All real time data reports can be exported in CSV and Excel, and can be sent vía email.